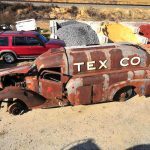 Steve has disassembled the rolling chassis and, in doing so, has discovered an important date in the Diamond T tanker’s history. 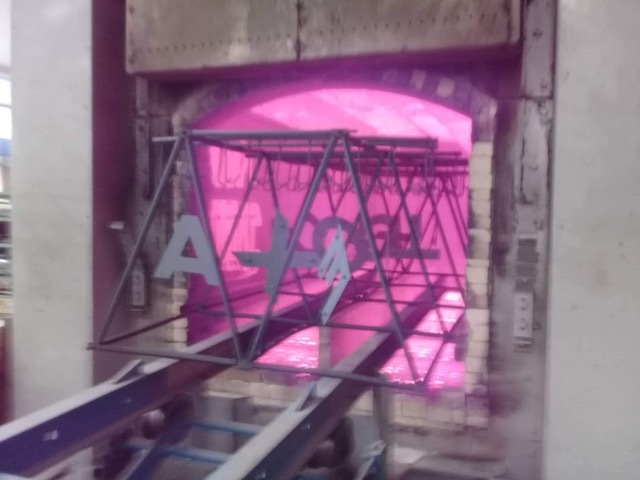 We are very excited to once again witness the talent of Simon Tippins and Craig Garland at Creative Metal Works. 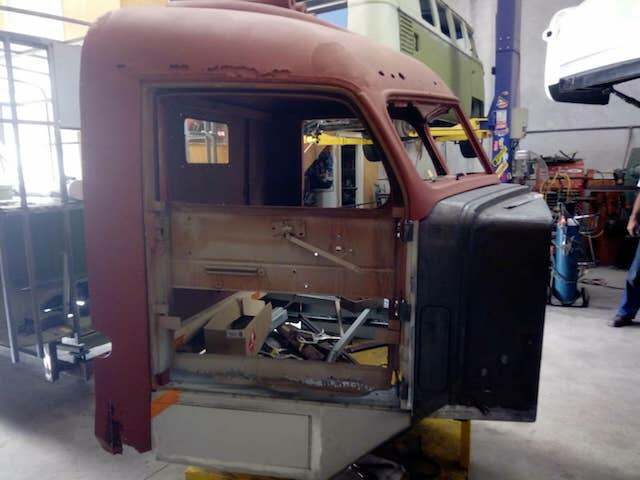 The work being undertaken this time, is the reinstatement of the Diamond T 614 cab. 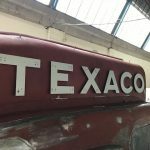 The vitreous enamel process on the recreated TEXACO letters has been carried out at Procote Industries Limited in Dunedin, New Zealand. The “rolling billboard” signage is simply stunning. One important question remained unanswered when I began to research the tanker’s history. 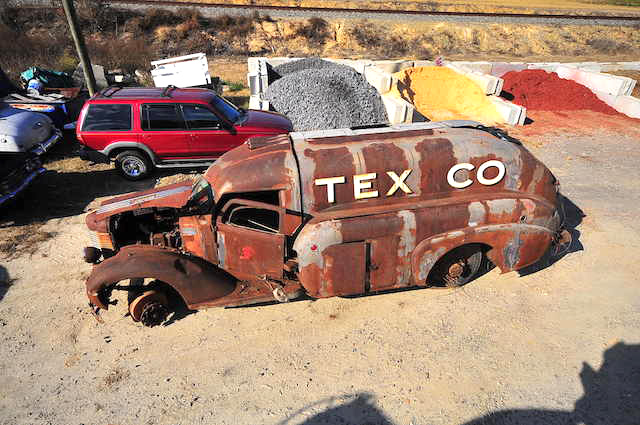 Did the ’38 Diamond T actually originate from South Carolina? The 1959 license plate that was tied to the grille certainly suggested as much but I had not been able to verify this. From the SC state population of 5 million, we only needed one person to recognise it and answer that question…….and that one person turned out to be Lee Boozer from Newberry County, SC. 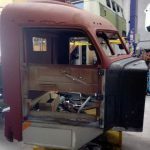 As the fabrication work on the Heil body came to an end, Steve was focusing on the tanker lighting and hardware. 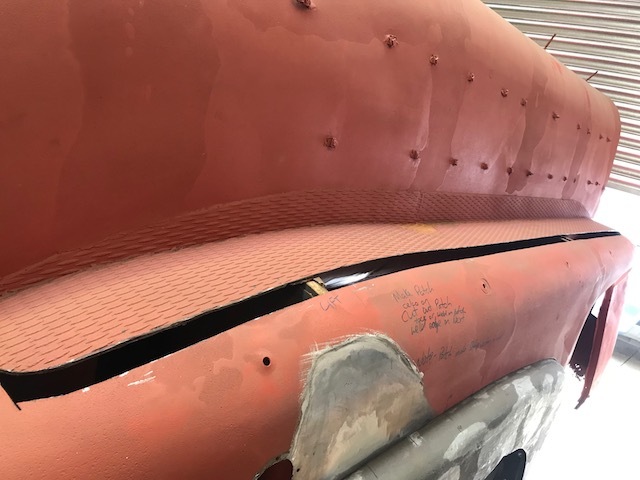 The fabrication work and repairs on the Heil tanker over the past month have continued to challenge the team at Creative Metal Works. 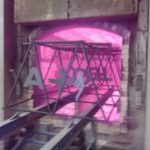 Simon and Craig have battled with the heavy 16 gauge steel, and the extensive amount of lead that was applied during construction. 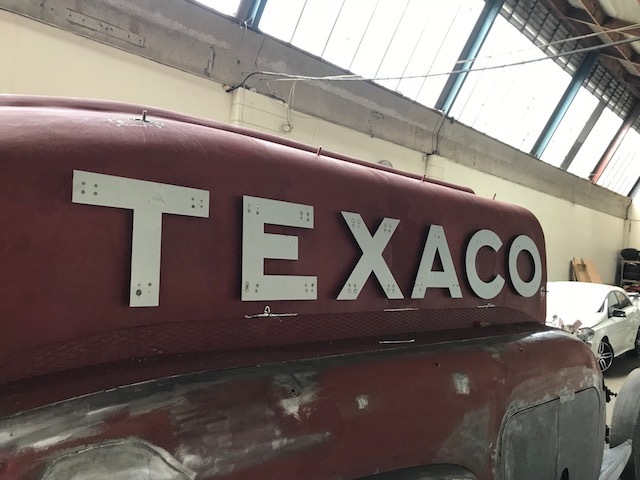 We have sourced a manufacturer of vitreous enamel here in New Zealand, and initial trials have been done to replicate the lettering on the Texaco tanker. Most of the major structural repairs on the tanker have now been completed at Creative Metal Works. 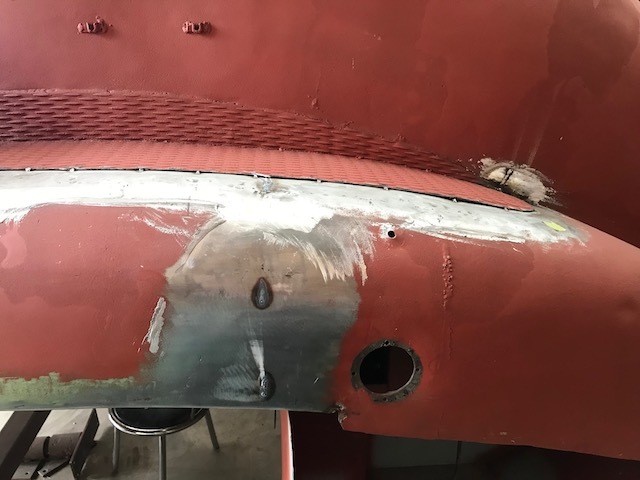 Simon and Craig have been replacing rusted areas with repair sections, pushing out damaged panels and working on the external areas of the locker compartments. 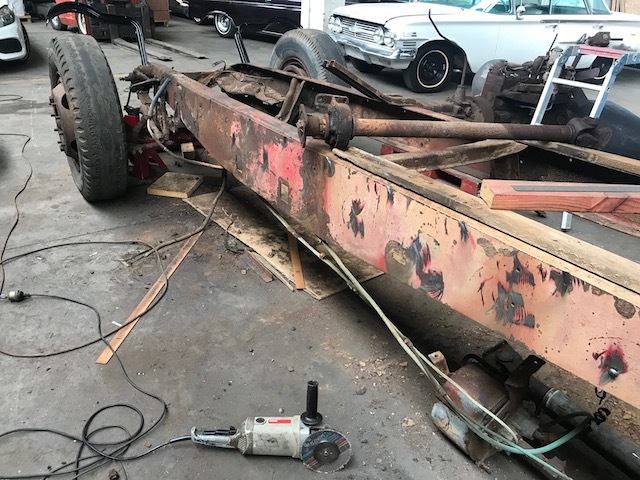 Work is under way to recreate the Texaco tanker’s rear bumper. 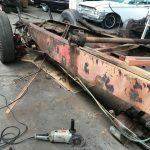 At the opposite end of the truck, the front bumper has been delivered to Otahuhu Chromeplaters Ltd to be rechromed. 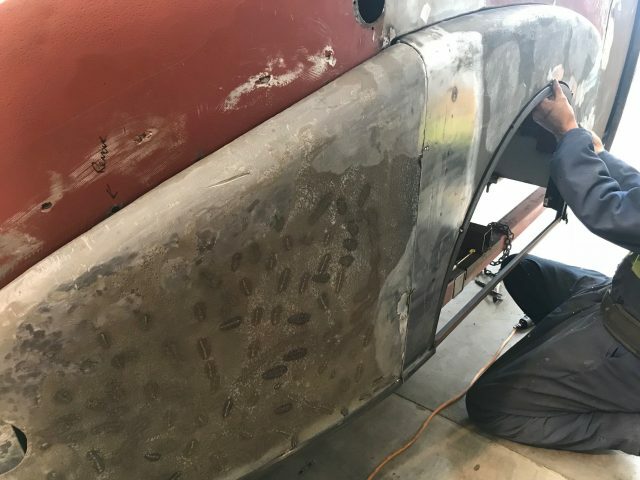 The restoration of the radiator is now complete and we have received several small pieces back that have been rechromed. Further repairs to the Heil tanker have been carried out at Creative Metal Works Ltd in Pukekohe, Auckland. Want to be notified when our next update is published? Enter your details below to be emailed as each update is released.